Like most people, I attach key moments of my life to specific foods, meals, smells and tastes. Just as one sniff of Versace Red Jeans on the back of the bus can whisk me back off to the hellish surroundings of my secondary school form class, one look at a picture of my dinner can bring back a whole ream of memories for me. 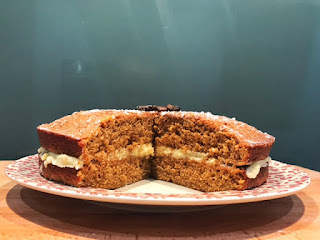 I've had a marvellous time looking through my pictures of this year and have compiled for your pleasure the complete list of what I've been chowing down on this year in the hope that it might bring you some New Year food-spiration. The beginning of the year is somewhat of a mystery to me food-wise given that I had to buy myself a new phone and, since Eat Liverpool did not yet exist, I couldn't get away with taking quite as many food pictures as I do now. What I do remember is that I finally got round to my first trip to Mowgli, we accidentally got Sunday drunk at Miyagi and I was very brave and went to stay in a hotel on my own in Manchester- for work reasons, of course. Ah Christmas, a time where all pretences of a healthy lifestyle go out the window and you end up eating cake for breakfast. If you're going to eat dessert for every meal of the day then you may as well make it a good'un. I was sent some incredible Christmas Blend Coffee from Adams and Russell (North West based Coffee Roasters) and knew there was only one thing to do with it- a festive coffee cake to give out to friends, family and festive visitors. Ok, so I'm very much aware that my blog looks like some kind of shrine to gin at the moment. See here, or here. I promise you I do like other drinks. I will drink a vodka and coke when the mood strikes, maybe even a Malibu or a Bacardi on a special occasion. I drink wine, too. In my former years white and rose were drunk by the bottle and in my later years (now) I've started in on the red. But, if I'm being honest, I find nothing as refreshing or as drinkable as a Gin and Tonic. 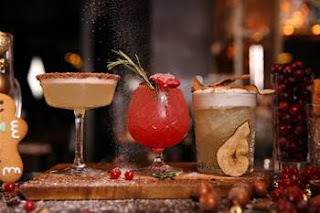 When I heard Novotel's across the country had a new range of Christmas cocktails my cold little ears pricked up. Christmas? Oh yes. Cocktails? OH yes. Even better- all of them made with gin and part of the new (aptly named) GINgle Bells Christmas Range. 10 Gin-spirational Gifts for the Gin Enthusiasts in your life. Remind yourself daily that gin is your one true love. Gin-filled Baubles to see through you through the Christmas Chaos! Just as pretty as they are drinkable. Jack Daniel’s have just unveiled their top 10 bartenders in the North, and not one but FOUR of them are from our very own Liverpool. 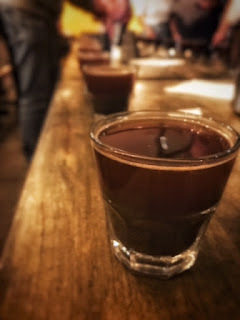 All of them were selected as part of the Tennessee Calling competition, an initiative to support up and coming bartenders in their careers and learn from the best in the industry. One of the entrants is Toby Boyce from the pizza mecca that is Santa Maluco. 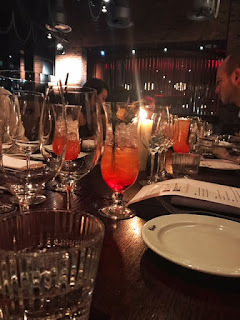 Now, If you want the nitty gritty about the food you can check out my review here, but for now it is all about the bevvies. Being a full-time-member-of-society-got-my-own-house-now-person has its perks. Namely that I can order takeaway whenever I want without judgement, I can go to bed in the middle of a Saturday if I feel like it and I can leave my bedroom as messy as I please. On the downside, I don't get to see my family as much as I used to. So, after my mum returned from an Italian mini-break we decided to meet up over tea. 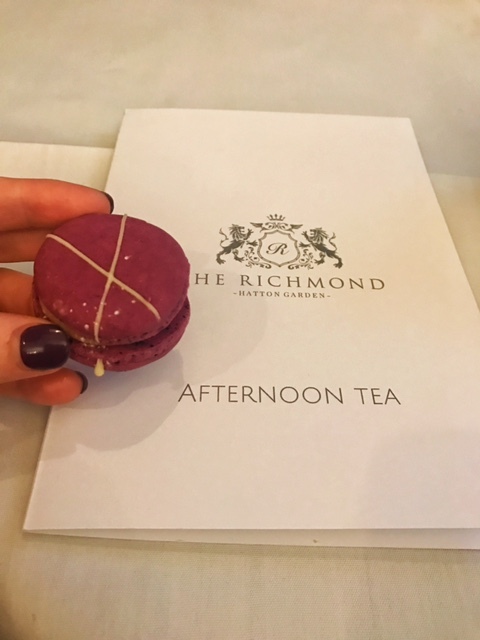 Afternoon tea, to be precise. Whether Christmas is something you love or you loathe, it's coming. 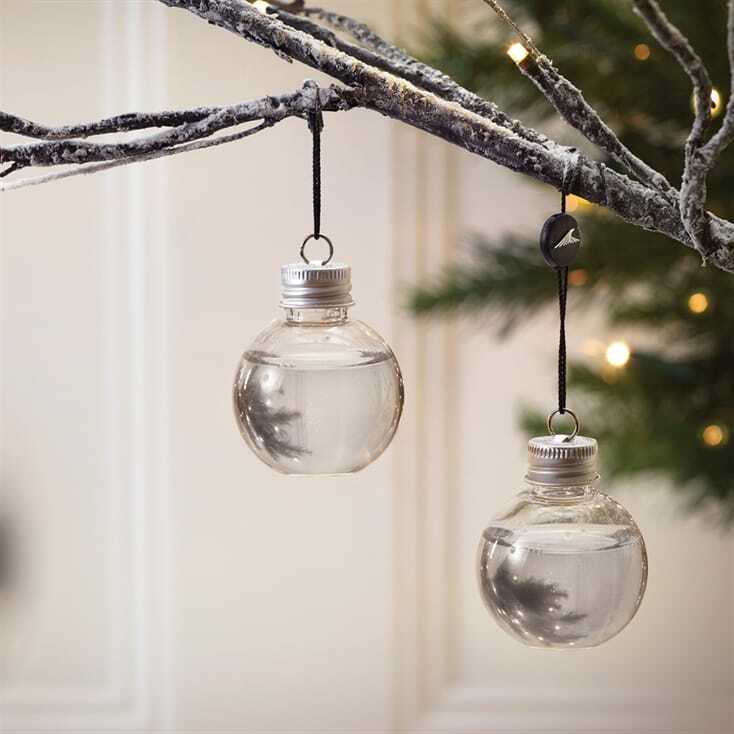 When it comes to making the most of the festive season we're spoilt for choice this year. 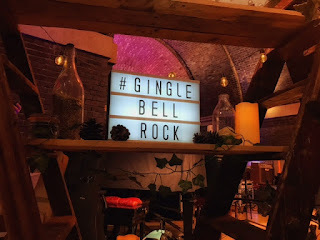 Liverpool One have already whacked their tree up and brought back the karaoke bar underneath, St George's Hall is playing host to an alley of festive market stalls and now the Ice Festival at the Pier Head has returned bigger and bolder than before. Here's 4 reasons you should squeeze in to your winter woollies and head down to the waterfront in the next couple of weeks to check it out. Almost every day I marvel at the beauty of our skyline as I scroll absent-mindedly through photographs on my Instagram feed. How often do I go and see it in person? Rarely. The Ice Festival couldn't be in a better location if it tried. 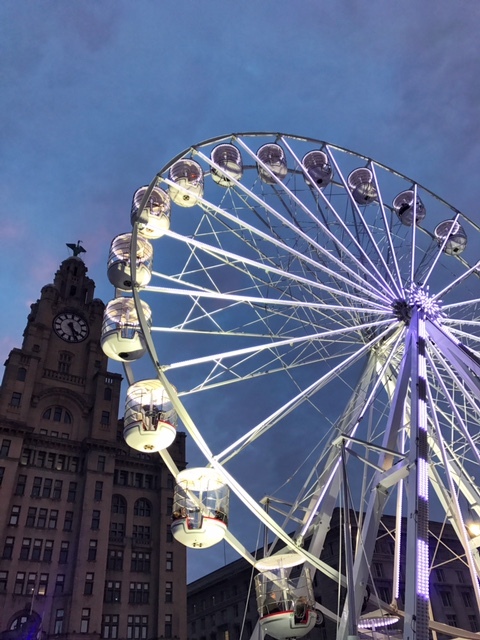 Slap bang in-between The Liver Buildings and the Mersey you get to celebrate the best of the festivities whilst admiring the city from it's best angle. If you don't mind the heights then make sure you see it from above at the top of the Ferris Wheel. Chez Mal Restaurant at the Malmaison hotel. November- a month of perpetual darkness, frozen windscreens and arguments about when to put the heating on. A month like that calls for comfort food and in my opinion potato skins are the comfiest of all the foods. Crispy skins, soft, buttery mash, cheese and crispy bacon. It's like a hug for your mouth. 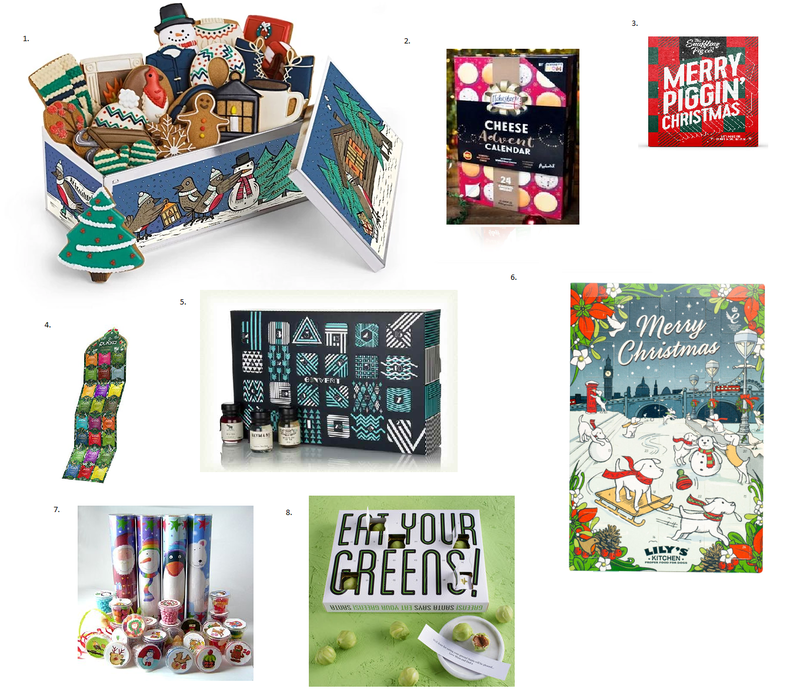 Advent Calendars are the perfect example of the gift that keeps on giving (for 24 days, to be exact). If you want to get your gift-giving in early this year then a calendar is the way to go. Not only will your loved one have something tasty to eat each morning of December, you can also smugly claim you've got them 24 presents instead of one. Forget those cheap, plazzy chocolate ones though, these calendars are actually worth eating. It was the desserts I saw first. They appeared on my Facebook feed and I couldn't get them off my mind. I heard rumours of Candyfloss, Caramacs and deep fried chocolate bars and my mouth started watering. With that in mind, the wait for George's to open seemed eternal. But eventually, the day came and we headed down with empty bellies ready to be filled. Am I a Coffee Expert? Well, no. I love the smell of coffee and the idea of coffee but when it comes to drinking it I'm your basic annoying decaf-soy-vanilla type of girl. With that in mind, when the opportunity came up for me to attend a Coffee Tasting workshop at the beautiful Coffee and Fandisha I was excited to see whether I had what it took to be a full-time coffee taster. (I'll give you a heads up- I don't). I have a lot to thank Liverpool Gin for. Namely, getting me hooked on the stuff and allowing me to finally enter adulthood by finding 'my drink'. I had gin down as just 'alright' until I tried a classic Liverpool Gin down at The Belvedere and since then I've become somewhat of a G&T aficionado. A G&TA, if you will. 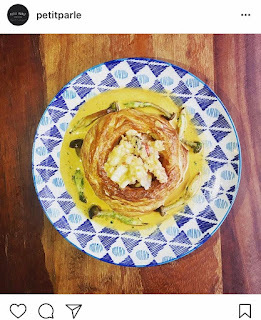 The To-Eat List- Where to Try Next? As my friends, family and colleagues will testify, I am extremely organised. I write to-do lists multiple times a day and then re-write them again but with better handwriting,in various colours, highlight them, tick them off, and then re-write all over again. Aside form the usual lists (what we need from the shop) I have an ongoing 'to-eat' list. A list of places I want to try or haven't been to yet. Liverpool's burgeoning status as a foodie destination partnered with the fact that sadly, I have to work for a living, has ultimately ensured this list is never (and will never) be complete. Unless I win the lottery of course- in which case I'll try them all in one obscene week of feasting and never return. There are so many new restaurants, cafes, bars, pop-ups, food trucks and 'collabs' that I just can not keep up. But for now- here are the places I've got my eye on. Friends, if you want to know where I want to go next time I see you then pay close attention. When it comes to different cuisines Liverpool has most of the map covered- Turkish, Brazilian, Thai, Lebanese, Peruvian- you name it we've got it. There was, however, a decidedly French shaped hole in our culinary offering which has now been filled with Parisian eatery Petit Parle. One look at their fantastique Insta page has left me dreaming of sticky tarte tatin, melty cheeses and glass upon glass of red wine. I love a good meal. Often the fancier, the better, but I am only human. What I mean by that is that sometimes (many times) I can't resist the lure of the golden arches. Some days are not meant for home-cooked goodness. Some days are too tough for three courses. Some days you just need some food. fast. 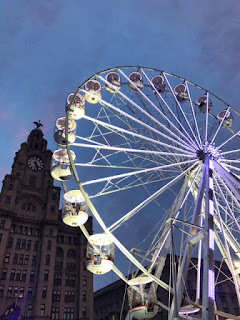 and that is A-O-K.
As you may well imagine (being a Liverpool food blogger 'n all), the Liverpool Food and Drink Fest is one of my favourite days of the Scouse event calendar. You may have seen my post chronicling some of the reasons why I like it so much- and this year certainly lived up to my incessant hype (phew!). Alma de Cuba is a Liverpool nightlife institution and somewhere I always want to go to yet never do. I imagine the main reason for this is because I'm usually dressed like a scruffy teenager (the best night outs happen in jeans, in my opinion) and the stunning interiors of Alma are simply no place for my beloved but battered Adidas Superstars. In light of this, I was super excited to be invited down to the Alma bloggers event to get to know the place a little better and try out their new menu. The recipe for a good Bank Holiday weekend calls for a couple of simple but key ingredients. Firstly, the sun needs to show it's face at some point during the weekend. 15 degrees? We'll take it. Secondly, indulging yourself on food and drinks for the entire three days is absolutely mandatory. You've worked hard this week. You deserve it. 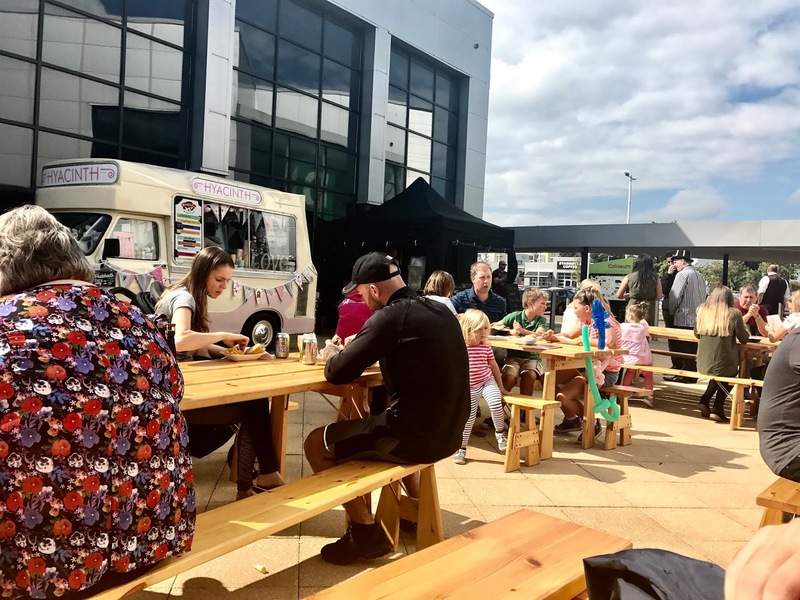 Luckily enough for me, I was invited down to the Coliseum Shopping Park in Ellesmere Port to check out their Bank Holiday Foodie Weekender. Sunny day? Check. Good food? Check. Drinks? You bet. As a born and bred Scouse girl, I am always on the lookout for new and exciting things coming in to the city so I was chuffed to be invited to to launch of an intriguing new app called Locabo. On Wednesday night, we headed over to Pinch on Castle Street to find out what it was all about. 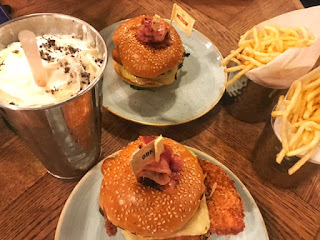 Hip Hip Hooray- it's #NationalBurgerDay today here in the UK and although I'm not sure how legit this event actually is, I love any excuse for a celebration. Especially one that includes a burger. I've never met a burger I didn't like. Here in Liverpool we are spoilt for choice- there's a burger for every mood, hangover, diet or craving and they get bigger, weirder and tastier by the day. I've taken one for the team here and spent hours trawling the murky depths of Instagram to bring you my Pick of Liverpool's best offerings. On Saturday evening we pulled on our warmest clothes and headed deep in to the winding paths of Calderstones park in search of our dinner. One of my favourite memories from a recent holiday is sitting on a bench by a fire in Copenhagen. It was part of a bar outside of a huge abandoned paper factory right on the river. Inside was hundreds of different food stalls ranging from Danish classics to Asian Duck, American grills and Turkish BBQ. I remember thinking ‘Why can’t we have this at home in Liverpool?’ and now, as chance would have it, we do. After a busy (read:mental) day in work I found myself wandering down Bold Street, delirious and hungry, in search of food. Koop had already been recommended to me a number of times so when I caught sight of the neon sign above the door I knew that was where I had to eat. Stepping inside, the restaurant decor was exactly what I was hoping for. Graffiti walls, tin cutlery holders and big lights- just the ticket for shameless Friday night feasting. Initially it was very quiet- there audio kept going on and off leaving us briefly in an awkward silence perusing the menu. However, this was soon rectified and we enjoyed the rest of our meal listening to the dulcet tones of Lana del Ray. I'd be lying if I say I liked pizza. In reality, I am obsessed with pizza, I worship it. I have sleepless nights dreaming about stringy cheese and crispy pepperoni. I'm not fussy either. I'll have posh pizza with expensive toppings and I'll eat it with a glass of equally expensive wine and (sorry, not sorry) a knife and fork. OR (more commonly) I'll shove it into my face at 5am in the back of a taxi, order one in my pyjamas after a big night out or slide one into the oven when I get home from a busy day in work. My idea of a balanced buffet.